This year's Garsington Festival presents four operas on the main stage, including a new opera by David Sawer, and a new collaboration between Garsington Opera and Santa Fe Opera. From 31 May to 22 July 2018, the festival will feature Mozart's Die Zauberflöte, Richard Strauss' Capriccio, Verdi's Falstaff and David Sawer's The Skating Rink. Tim Albery's new production of Richard Strauss' Capriccio is a collaboration with Santa Fe Opera where the production debuted in 2016 [see my review]. 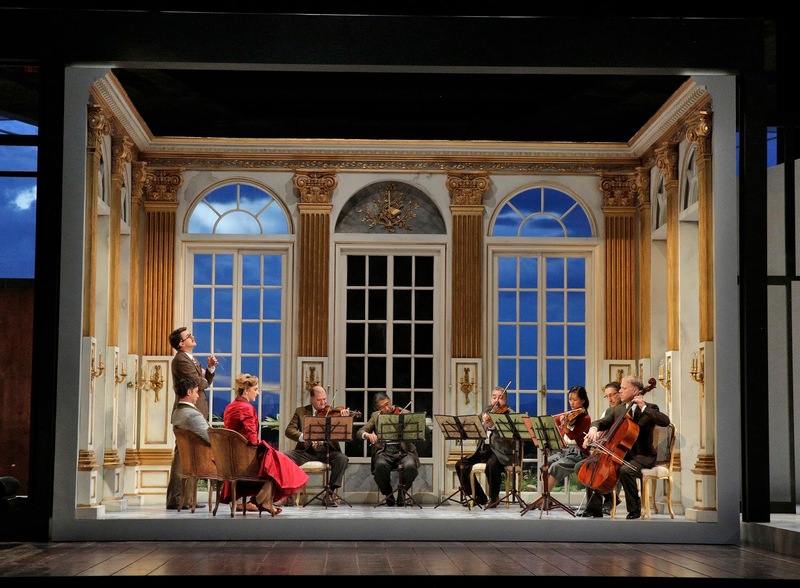 At Garsington, Miah Persson is the Countess, with Gavan Ring and Sam Furness as her potential lovers, Hannah Hipp as Clairon and Graham Clark as Monsieur Taupe. Douglas Boyd conducts. The new production of Mozart's Die Zauberflöte is directed by Netia Jones and conducted by Christian Curnyn, both making their Garsington debuts, with Benjamin Hulett and Louise Alder as Tamino and Pamina, with Jonathan McGovern as Pappageno and James Creswell as Sarastro. The Costa Rican soprano Íride Martínez sings Queen of the Night and the Three Ladies will be sung by Katherine Crompton, Marta Fontanals-Simmons and Katie Stevenson, all of whom are alumnae of the Garsington Opera Alvarez Young Artists’ Programme. There will also be a full performance of Die Zauberflöte, by the present crop of Alvarez Young Artists, for local adults and students from local schools, all of whom will have taken part in a programme of workshops to fire their enthusiasm for opera. Verdi's Falstaff is directed by Bruno Ravella, with Richard Farnes conducting the Philharmonia Orchestra. Henry Waddington sings the title role, with Mary Dunleavy, Richard Burkhard, Soraya Mafi, Victoria Simmonds, Yvonne Howard, Oliver Johnston, Colin Judson, Adrian Thompson and Nicholas Crawley. Full details from the Garsington Opera website.